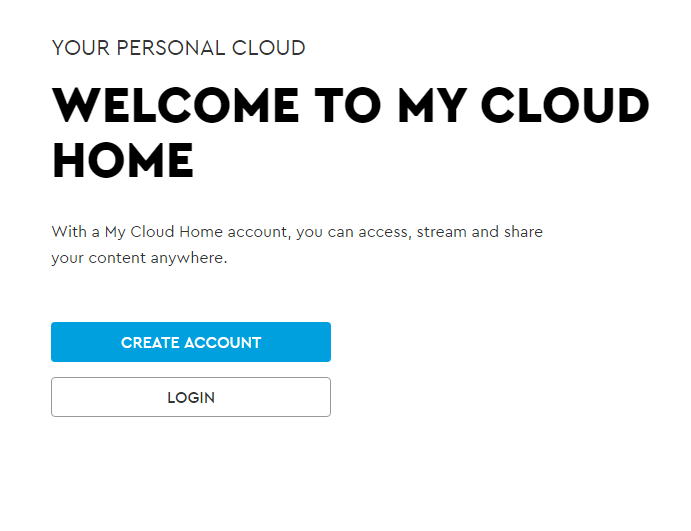 On the All Done page, select the My Cloud Home Desktop App option. 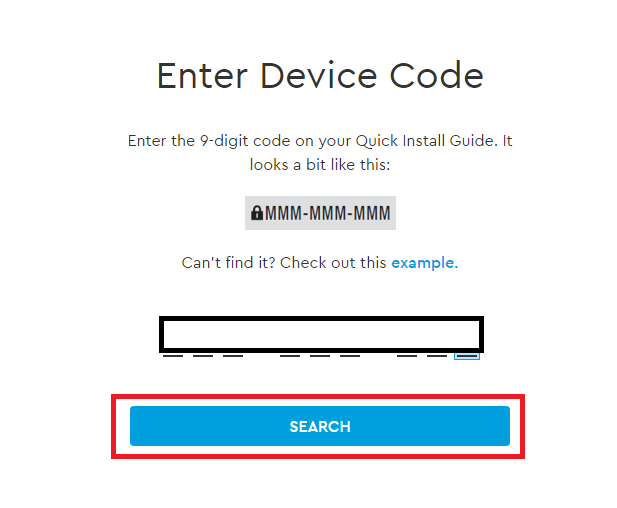 This will download the WD Discovery software, which is used to install the My Cloud Home desktop app. 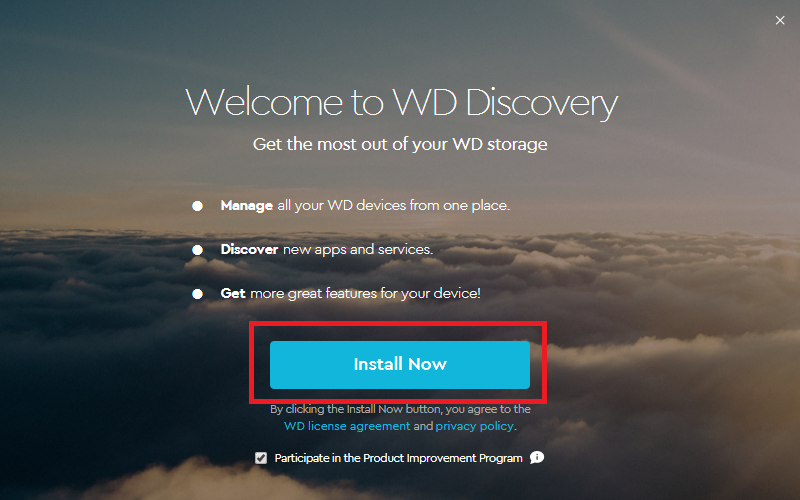 Install and setup the WD Discovery software with your My Cloud account information. 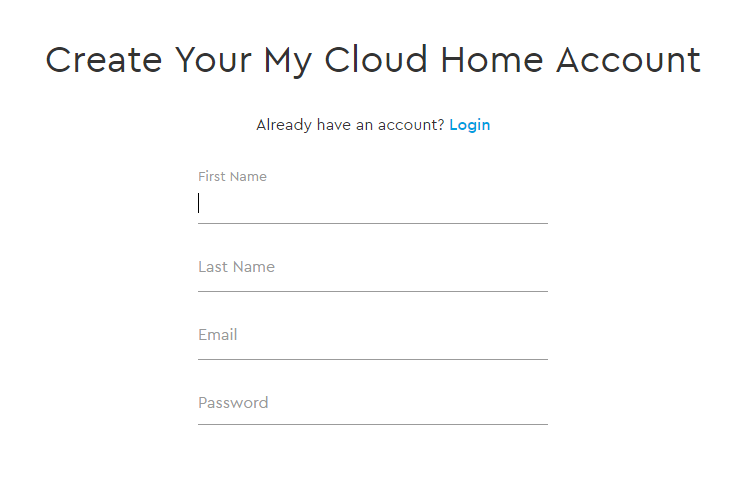 When prompted, enter your My Cloud account information. The Sign In button will turn blue, then click it. The first time setup screens will display. 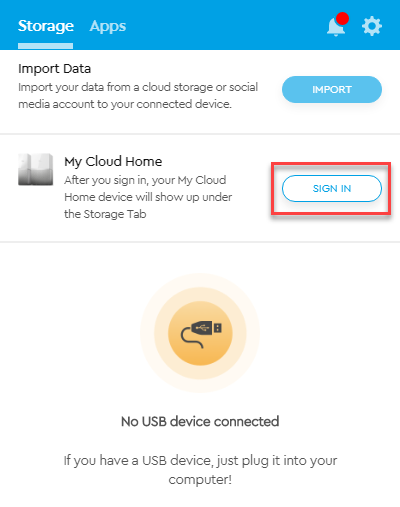 Click Next on all three to learn more about the My Cloud Home Desktop App or click Skip. 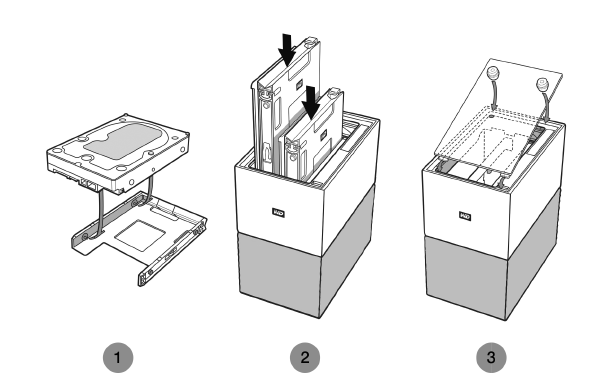 This will create a desktop icon. 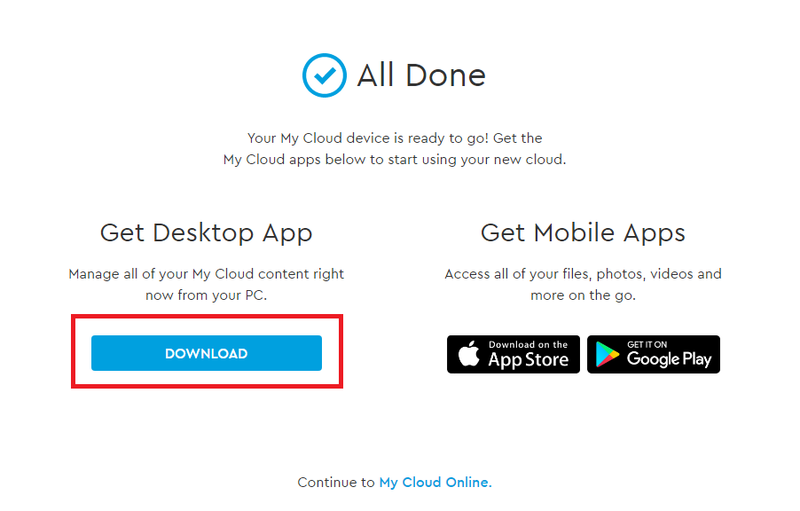 Use this icon from Discovery or desktop to launch the My Cloud Home desktop app. 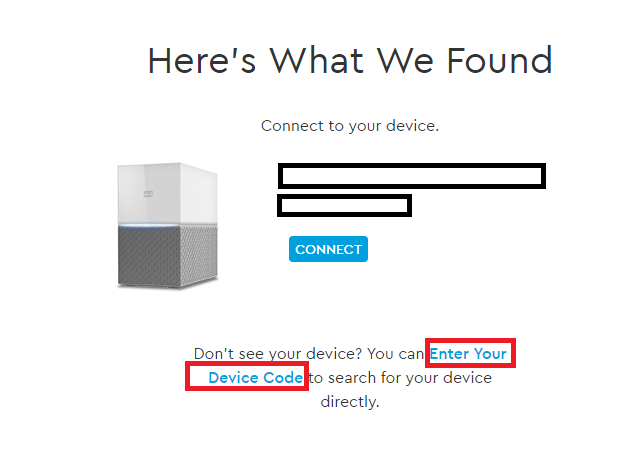 When accessing and navigating the contents of a My Cloud Home device through the My Cloud Home desktop app, Windows® will use Windows Explorer and macOS® will use Finder. 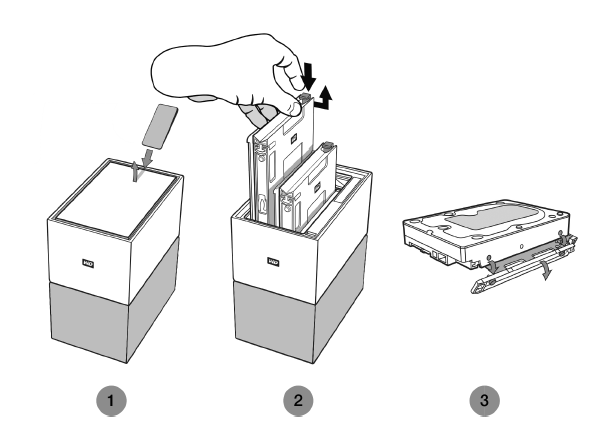 Click on the file or folder to drag-and-drop, and hold down the mouse button. 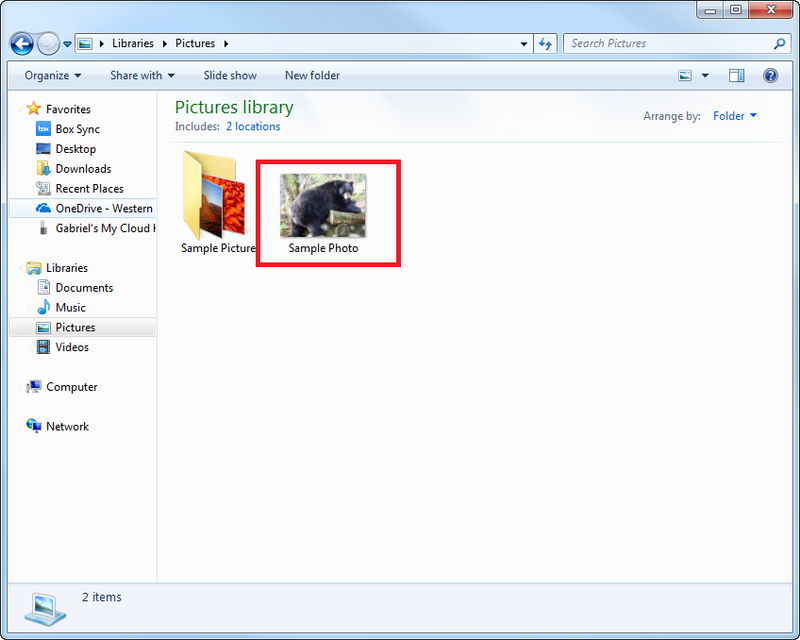 Drag the file or folder to the new location and let go of the mouse button. Your file or folder should copy or move to the chosen destination. 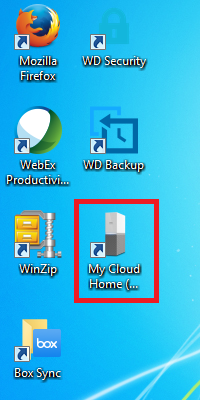 My Cloud Home Desktop App: The My Cloud Home desktop app uses the functionality within Windows Explorer and macOS Finder to view files. Access the My Cloud Home device through the My Cloud Home desktop icon or WD Discovery and use these operating system tools based on the instructions from the software vendor. 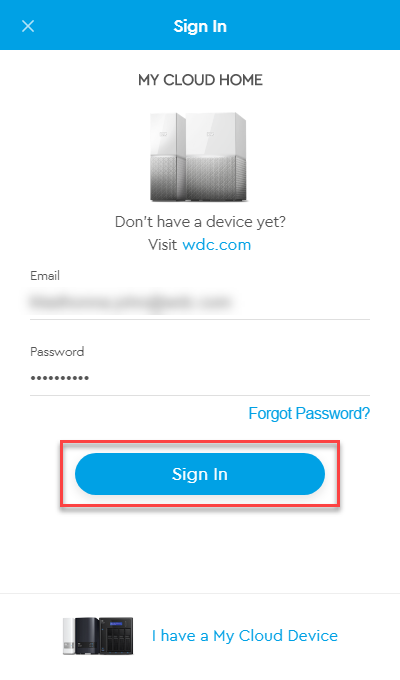 Login to the Desktop App, then click on the name of your Connected Device under the Devices tab. 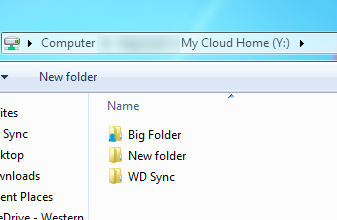 Opening My Cloud folder from the desktop. Locate the My Cloud icon on the desktop. Double click on the icon. 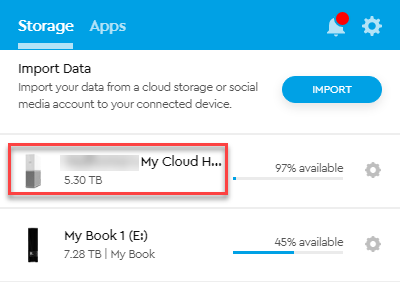 This will open the My Cloud folder. Right-Click the file or folder to share. This will open a small drop down menu. 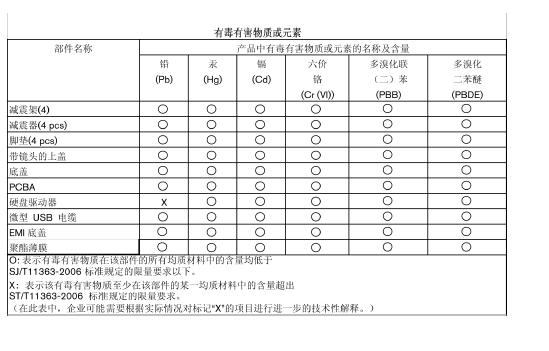 Select the option Create Share Link. 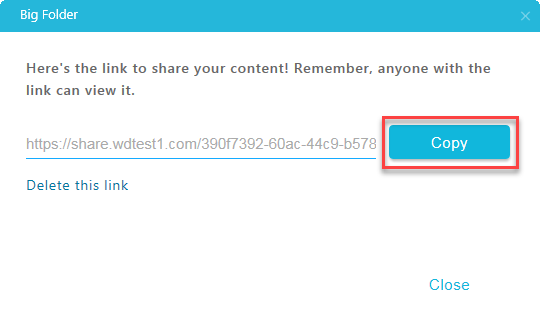 This will open a dialog box that displays the link to the file or folder that will be shared. Click the copy button. This will copy the link to the Operating System's Clipboard. 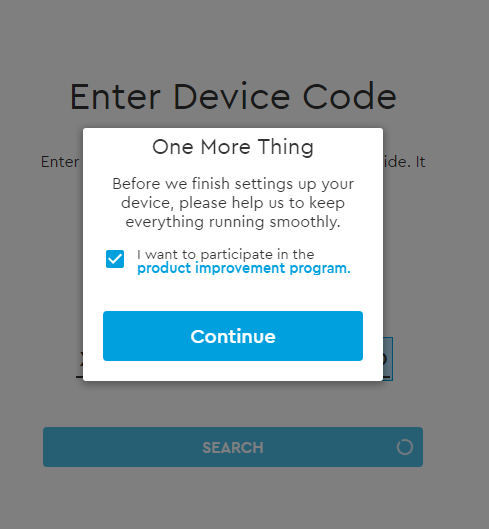 Click the Close option on the dialog box. 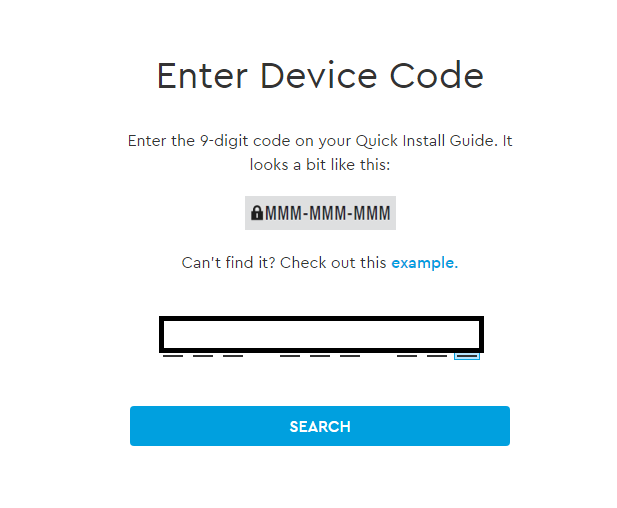 Open the tool that will be used to send a user the link. 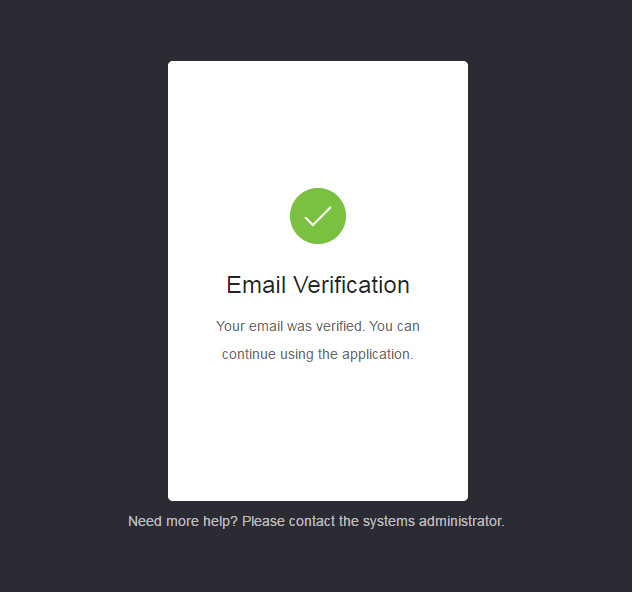 For example, an email application can be used. 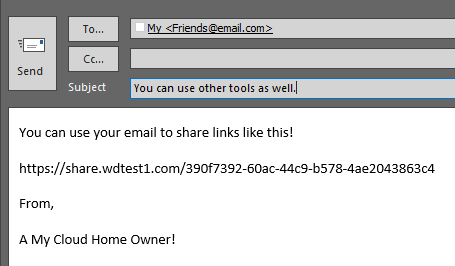 Paste the link that was saved to the Clipboard into the body of the email and send it. 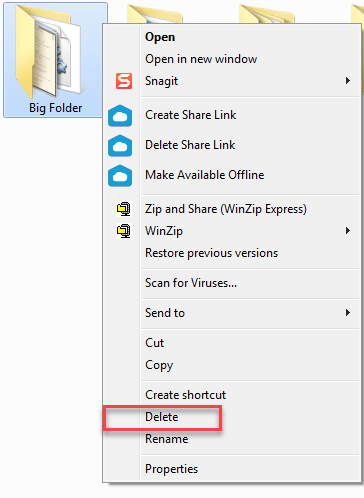 Right-Click a shared file or folder. This will open a small drop down menu. 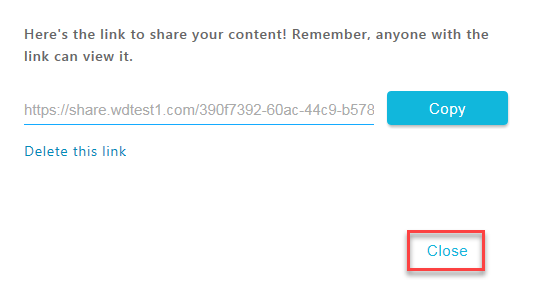 Select the option Delete Share Link. Content can be deleted through your system's regular file deletion system. 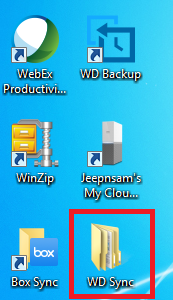 Through Windows Explorer you can Rick-Click on the file or folder you want to delete and click Delete from the dropdown, or Left-Click on the file or folder and hit the Delete key on your keyboard. 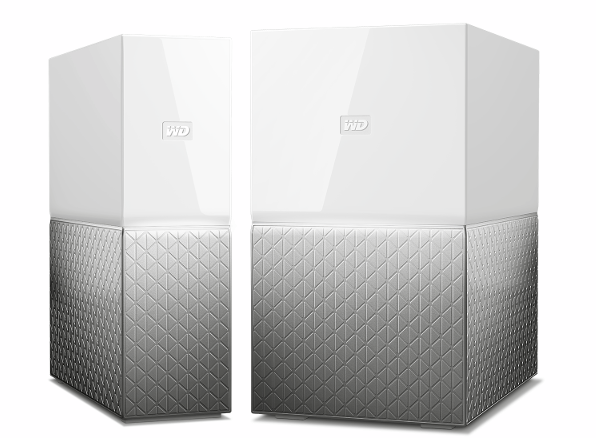 This will create the WD Sync folder on the My Cloud Home device. Inside this folder will be the folder chosen during Step 1. 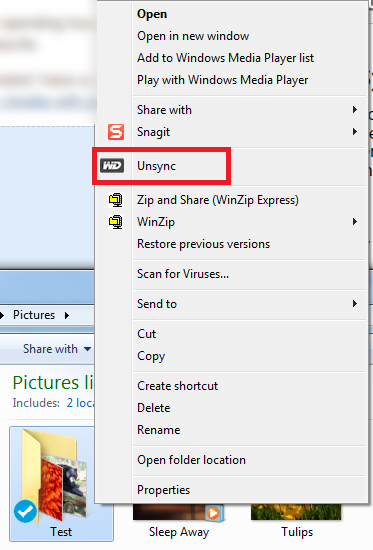 To stop the Desktop Sync process, Right-Click the folder and select the option Unsync. 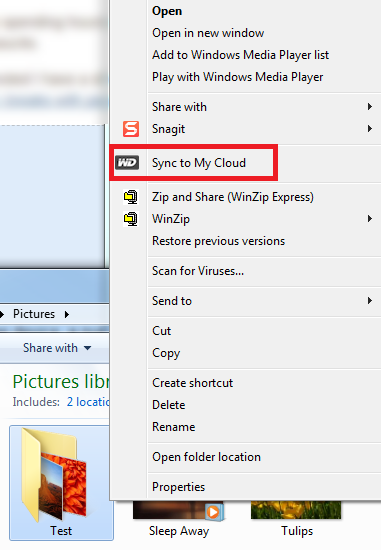 If one has not already been created, a new folder will appear on your desktop with the name WD Sync. 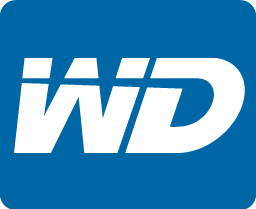 Inside the WD Sync folder will appear the folder you selected for the Make Available Offline process.